If Qnap works fine without HDDs, but when you plug in a HDD, Qnap shutdown, HDD green light doestn shine / or shine very week, HDD size seem “0″ mb, problem is probably HDD or adaptor. One of our costumer send me a Ts-212 with a different adaptor. Devices works fine witout HDDs, when I plug in 1 HDD, green light shines week. but when I plug in 2.th HDD, Qnap shut downs itself. after change adaptor, everyhing works fine. II – One of Your Corrupted / Dead HDD Cause This Problem. A broken / dead HDD may cause Qnap stuck at booting problem, or maybe doesnt let device open or make Qnap restart. You must identify and plug out that HDD to use Qnap back again. 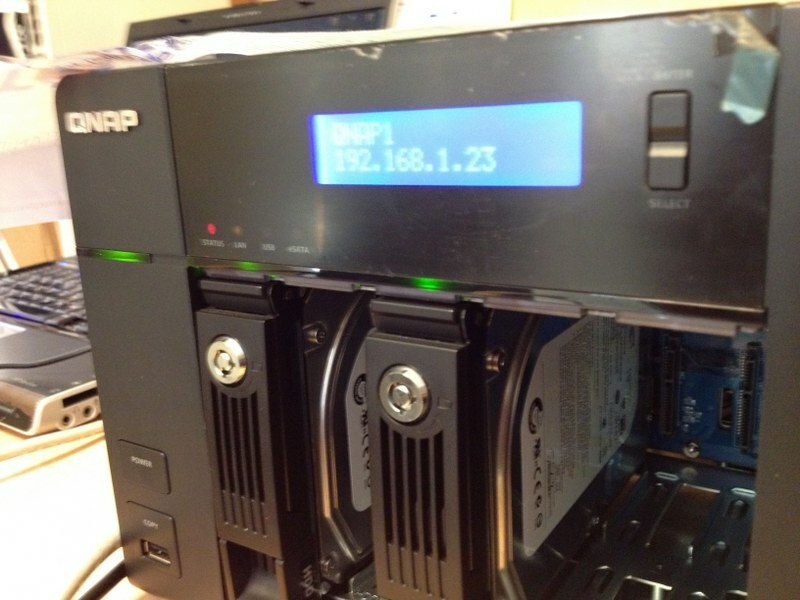 Generally I start costumers Qnap without HDDs, and setup RAID 0 with my own test HDDs. Also Plug their HDDs to my Test Qnap to identify which HDD has bad sectors. But if you dont have another Qnap for this, you can Identify which HDD cause problem by yourself. 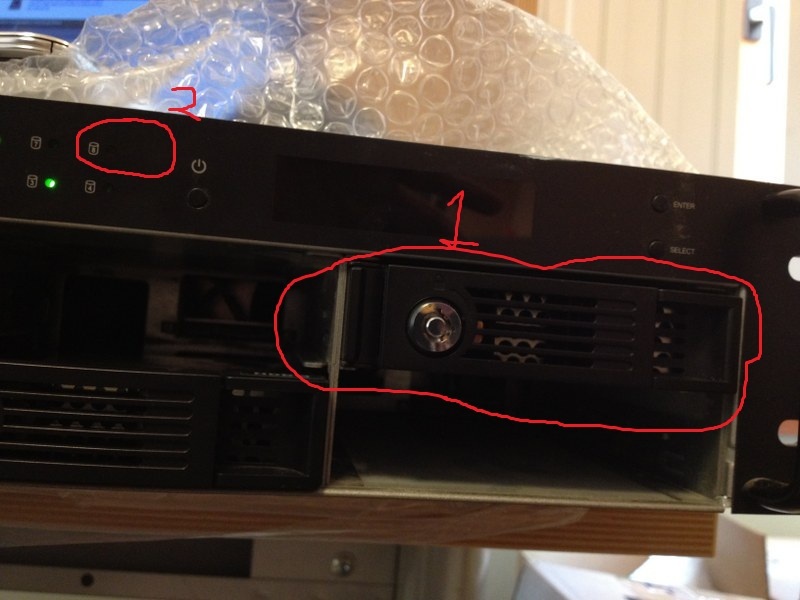 1 – Example, at this case, costumers devce only 2.th HDD shines, and 1.th / 3.th HDD ports light doesnt shine. So 2.th slot or HDD seems suspicious. 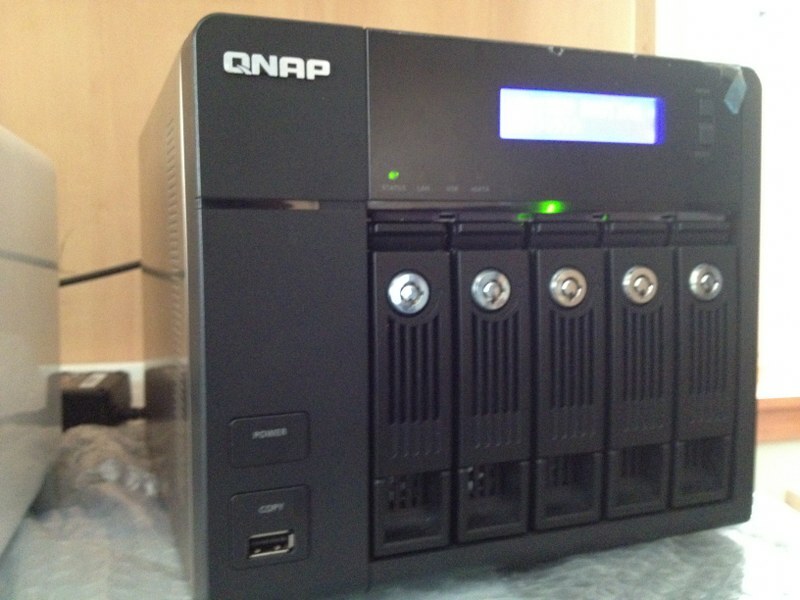 2 – I shut down Qnap and start device without HDDs. After second beep sound, I plug in first HDD to second port and see that HDD work fine. ..but when I plug 2.th HDD to 2th HDD port, green light doesnt shine anymore..
Also after Plug in 3.th HDD to 2.th HDD port, light doesnt shine. (broken HDDs sometimes cause Qnap give this kind of error. To fix this, you must restart Qnap without HDDs, and try again without suspicious HDDs. 3 – To be sure my 2.th and 3.th HDD isnt dead, I plug 1.th HDD back to 2th HDD port back again, and see that Green light doesnt shine anymore.. So.. 2.Th HDD probably dead. I Plug This HDD to another woking Qnap, and see that HDD is totaly dead. 4 – I Shut down Qnap, plug only 1.th and 3.th HDDs and open device back again. and… Eureka! I fix a “Stuck at booting” problem without typing any code. 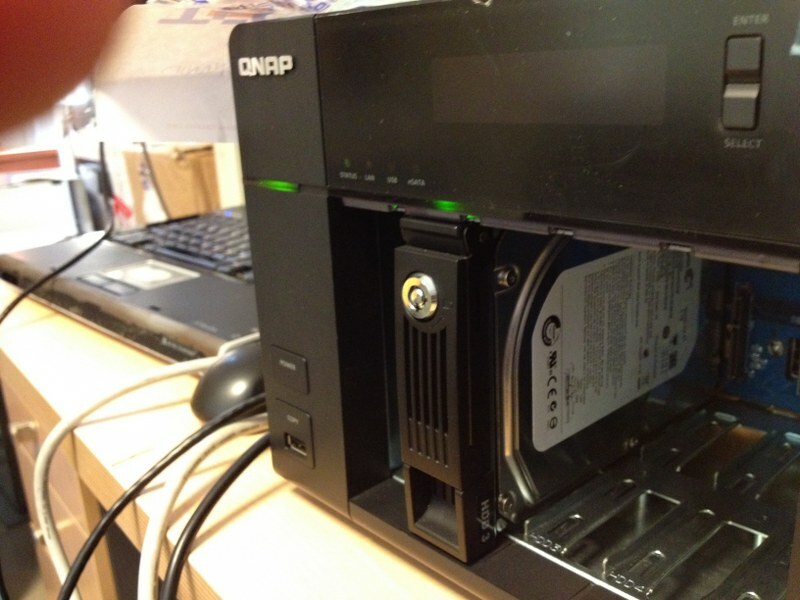 Summurize : A broken HDD can cause Qnap Stuck at booting problem, and you can fix a Qnap without typing any code.